If solar panels can convert sunlight and artificial light into power, can it do the same for moonlight? Well, there will be no dancing in the moonlight, in the meantime. Using solar panels to convert moonlight into electricity is not entirely impossible… but it is unnecessary. The primary aim of solar power systems is to generate high-quality but sustainable solar energy. The best intermittent source we have right now is the sunlight. We may not have a 24-hour access to sunlight, but we’ve come far in making up for that bump. So, if your main concern is the need for constant power — so much that it drove you to consider moonlight as a power source — then you can relax. There are many ways to sustain solar power. Today, we have energy storage devices that store surplus energy for cloudy days or colder seasons. Also, you can store it on ice tanks and hot water tanks. Another option is to sell it to the grid. Take note, those ways are just a few of the many options for sustaining and storing solar energy. Why is moonlight not a viable source of power? First, the sunlight hitting Earth is already way less than what was emitted by the sun. Now, imagine using a weaker light source such as the moon. You’ll be toiling night after night, hoping the panels convert enough electricity to power your LED TV or refrigeration system. Is it worth your time? Next, solar systems aren’t named “solar” for no clear reason. They work best with sunlight — not artificial light and not especially moonlight. Sure, systems can absorb those two, but think about the power output — will the hassle be worth it? Artificial light only powers small devices like watches and calculators; meanwhile, moonlight’s amount of energy is not even adequate for the panels to convert it into electricity. There is no known incentive for using lunar power. Of course, with solar panels and other sustainable energy systems, you can lean on dozens of incentive programs. Even the US government lets you deduct the cost you spend on your PV system from your federal tax. So, with this helpful incentive, why even think about using lunar power? Using lunar power instead of solar power leads to more losses than gains. 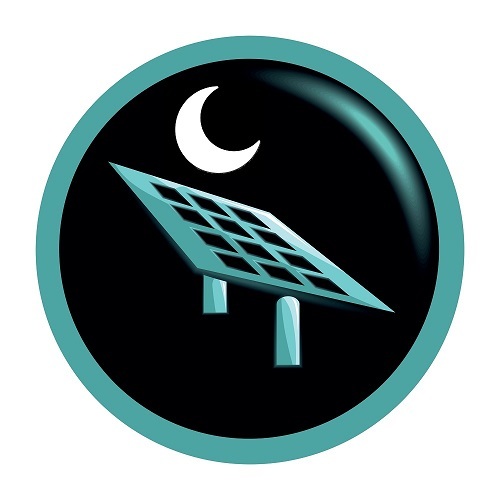 Besides its amount of energy, the overall logic of using your solar panels to absorb moonlight is just flawed. Scraping for energy in the moonlight will take too much time and resources — all those hassles for a small amount of energy for power-hungry equipment. Here’s a tip: if you want more solar energy and consistency, you should discuss other options with your provider. Make sure to list down your power needs. Be specific about it. Remember, there are many ways to maintain consistency in generating solar power. Yet, the most crucial is to rely on installation experts who, hopefully, can help you land on a system that helps attain your business goals. Opt for the real thing. Why shoot for the moon when you can land our panels? Go to what really works! Let’s talk about what you really need. Start by filling in the assessment form below.